Many small business web site owners make a mistake of not paying attention to basic Search Engine Optimization (SEO) of their web pages. This usually happens because of two reasons: one, they create the web site themselves and have no idea about what SEO is and why they should pay attention to it, or two, they hired a “trusted, knowledgeable web designer” to design their site, and s/he has not included SEO in the project proposal. For a solo professional, small business owner or a non-profit organization on a limited budget, applying these simple SEO strategies will do wonders for your organic search engine results on Google and other search engines. Each page should have a descriptive file name. In other words don’t name the files just services.html, or even worse page02.html, but try something like email-marketing-services-consulting.html. This will help the search engines index your pages more thoroughly if you use keywords that are relevant to the content of that page. This goes under the <meta title> tag. You have about 60-70 characters, or about 10 words. The page title is like a summary of the content. Again use the relevant keywords and phrases, or you can make it a call to action, for example a “Contact Us” page could have this title: Receive a free email marketing consultation – Call 905-844-4247 now! Write a meaningful description for each page. This goes under the tag. For this you have about 25 words, or 150-160 characters. Write this paragraph of 2-3 sentences so that it sounds like a classified ad for the page. Each page should have its own unique meta tag description, relevant to the content of the page, using relevant keywords people are likely to use to find you. Compile a list of keywords for each page. Use relevant keywords when you write copy for your pages. Don’t stuff your page with keywords, search engines will penalize your page for it, and secondly, and more importantly, the humans reading your pages would most likely see through your tactic and abandon the page as quickly as you can say SEO. 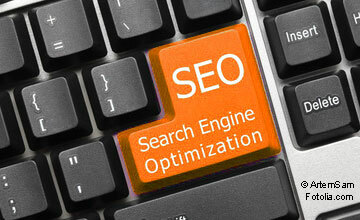 Read more articles on Search Engine Optimisation here. Linkedin, Facebook – Are You Networking On Line? Are you Networking? I don’t mean business networking in person, you know, at your local chamber of commerce or BNI. I mean, are you networking online? Are you using LinkedIn, Facebook, MySpace, Ryze? I just recently started exploring this area. It seems everyone and his uncle is on at least one of these networks. For example, Facebook now has over 65 million users and adding 1/4 million every day! Here’s a great article on why you should join LinkedIn. You can find me on LinkedIn and Facebook. Take a look at my profile and let’s connect.